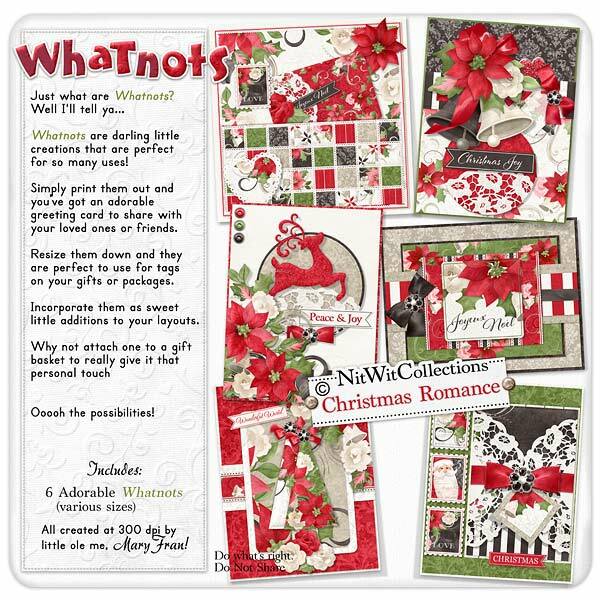 "Christmas Romance" Whatnots are beautiful printable Christmas card fronts that will surely be well received for those on your Christmas card list!! A unique and thoughtful way to send your Christmas cards this Season! Simply print on an 8.5"x 11" or A4 piece of cardstock, fold it over where the finished card ends and trim off the excess. Voila! P.S. don't forget to write you're sentiment inside!